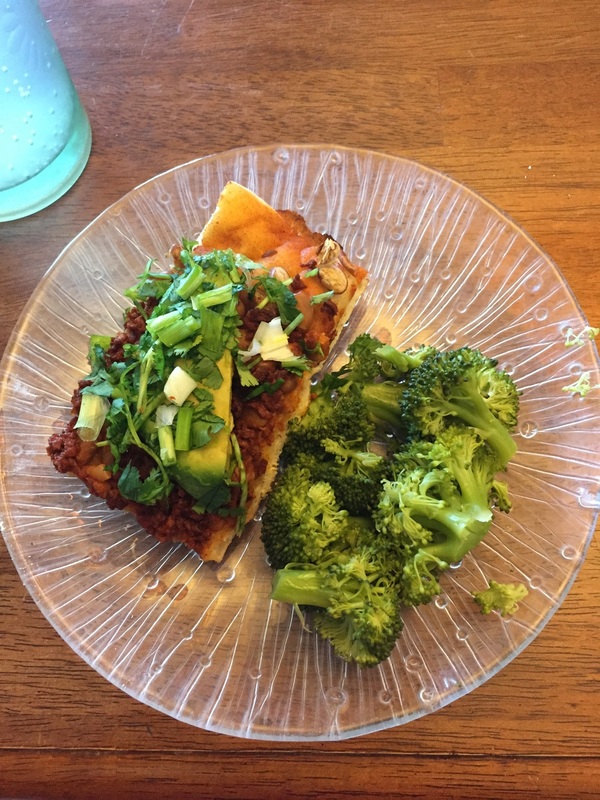 This Mexican-styled pizza is an absolutely perfect after workout fuel or family-time dinner. Packed with protein and flavor, this is one of my favorite meals. It's so simple to prepare and even simpler to eat. I love to serve it with sliced avocado (or a yummy guacamole), chopped green onions, and cilantro on top. This is truly good food! Preheat oven to 425 degrees. Take pizza doughs and roll out on a cookie sheet (or pan of choice) and make sure to spray non-stick spray to not have pizza stick to pan. Remove soyrizo's outer casing and cook soyrizo on high heat and mix and chop until crumbled and browned. 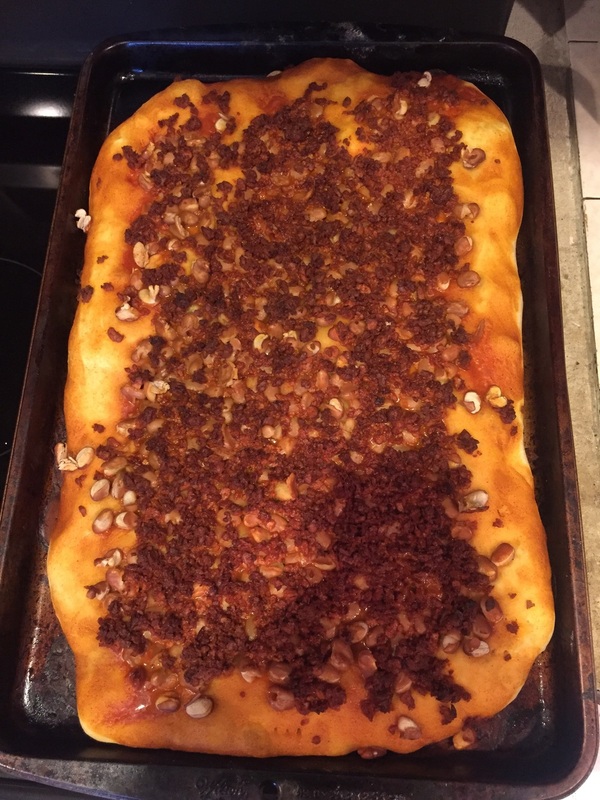 Spread the sauce, beans, and soyrizo evenly on the dough. Cook pizza for 15-18 minutes or until the crust is golden brown. Serve with sliced avocado, chopped green onions, squeezed lime and chopped cilantro on top. Served with avocado, cilantro, green onions, and lime. I love to have broccoli on the side!